To make a piggy bank, much effort isn't required. Ask your parents to save you a frozen juice can. After it is cleaned, have your Mom or Dad cut a slit in the side of the can with can opener. Paint can pink or cover with pink paper and glue paper to can. Cut out pig pattern and glue to cardboard and cut out. Glue the head section to one end of the can and the tail to the other. Make sure the feet are in alignment with each other. Set the bank on the tail end until dry. 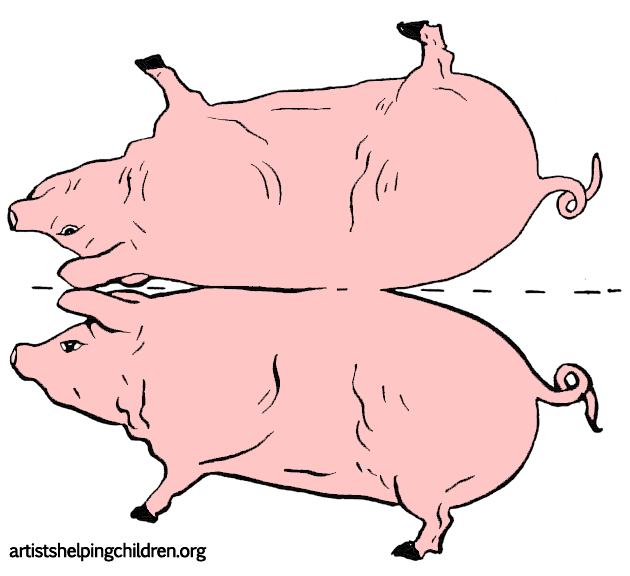 Here is a craft to make a paper pig with a stand that keeps it standing. First print out the following paper pig template. Then color it with colored pencils, markers, or crayons. Then cut it out and fold the stand with the directions on the template. Then stand your pig up and enjoy playing with him. 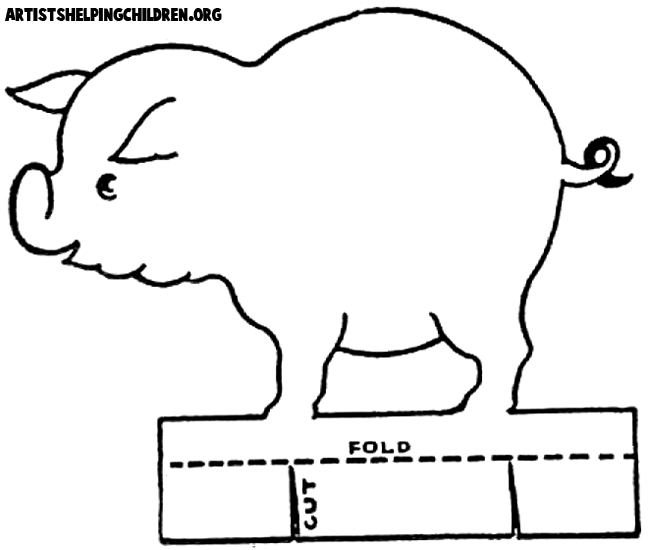 There is no folding involved in this paper piggy craft. First print out the templates ...choose color or black and white. Black and White Pig Legs and Black and White Pig Body ... or ... Color Pig Legs and Color Pig Body. After your print out the pig...cut the parts out. 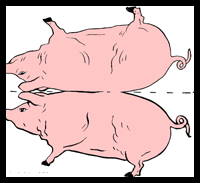 Then cut the slits in the pig where you see the dotted lines. Then insert the front and back legs in the slots. Now your pig should stand up. 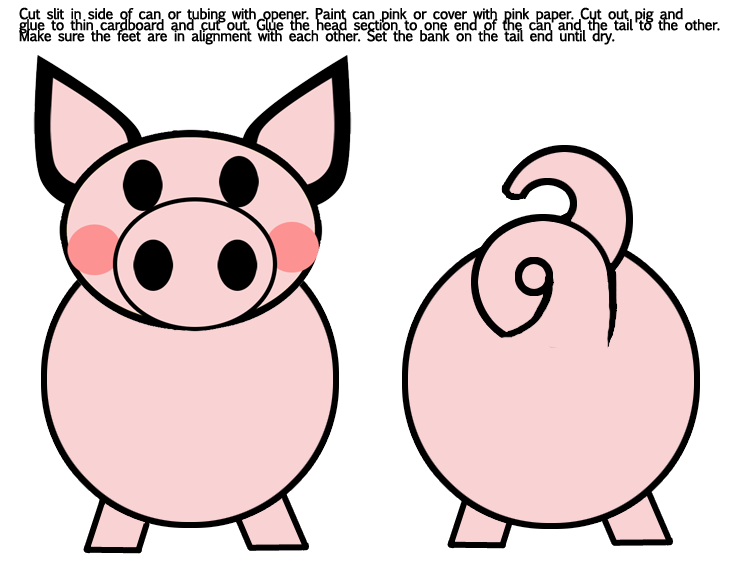 All you have to do is to print out the paper pig templates and then cut and fold. 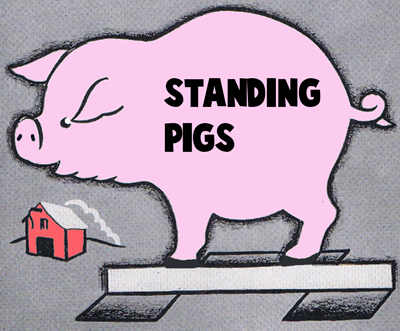 The pig will stand on its own. 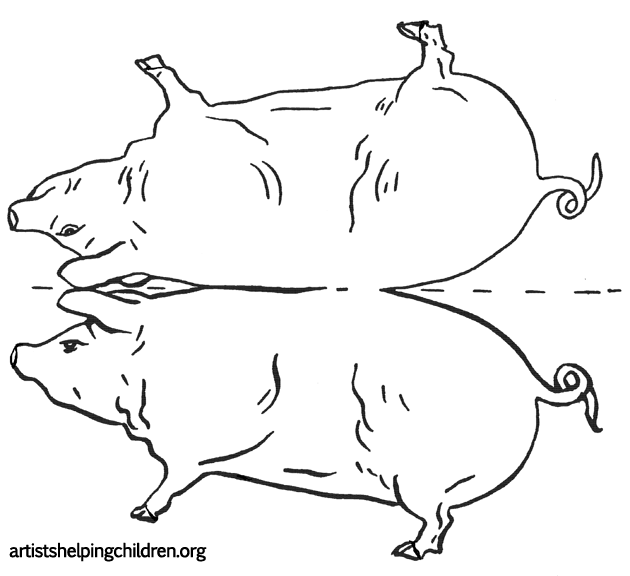 Print either b&w pig diagram or color pig diagram. 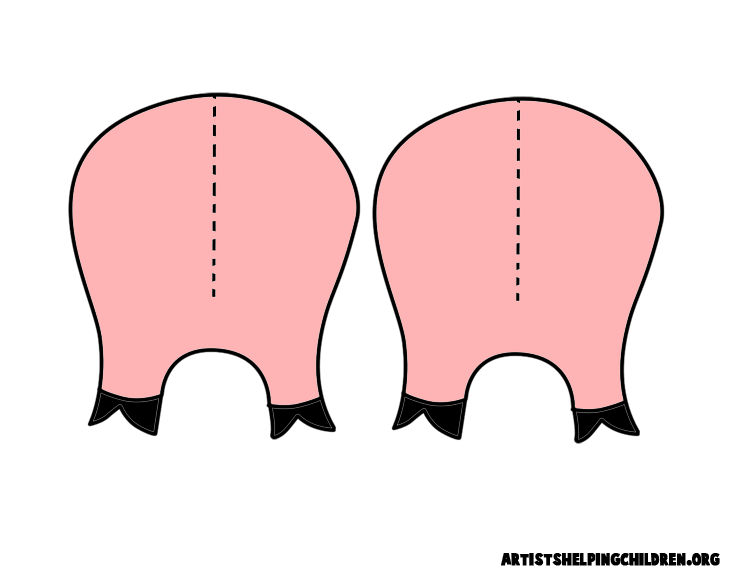 To make a paper pig mask, just print out the following paper pig mask template and follow the directions on the printed page. Here are a few step by step drawing tutorials...click on the image above that you want to learn how to draw. Make Pet Rock Piggies - This pet rock is a little piggy - make your own pet rock creations - learn how to make it look this good too. Adorable Animal Bean Bag Toys - Make these cute bean bags wtih foam, beans or rice, needle and thread, pom poms, and googlety eyes. There are templates for a dog, bunny rabbit, piggy, or mouse. Bottle Bank Recycled Bleach Bottle Craft - Turn an empty plastic bottle into a little piggy bank in a few steps. Creation Mobile : Bible Craft Ideas for Kids - Make a mobile showing all of God’s creations such as a star, fish, pig and a bird. Cute Clay Pot Pig Crafts Project for Kids - Find out how to make a cute pig from a Styrofoam ball and a small clay pot. Cute Critter Clutch Felt Craft - Make a pig clutch from felt, tacky glue, stiff felt, markers and scissors. Egg Carton Pig Crafts Creation Ideas - Make a pig using only an egg carton, paint, paint brush, craft foam, wiggle eyes, chenille stems, craft glue, and scissors. How to Make a Piggy Bank with an Empty Plastic Bleach Bottle - This video tutorial shows you how to make a piggy bank from an empty bleach bottle. 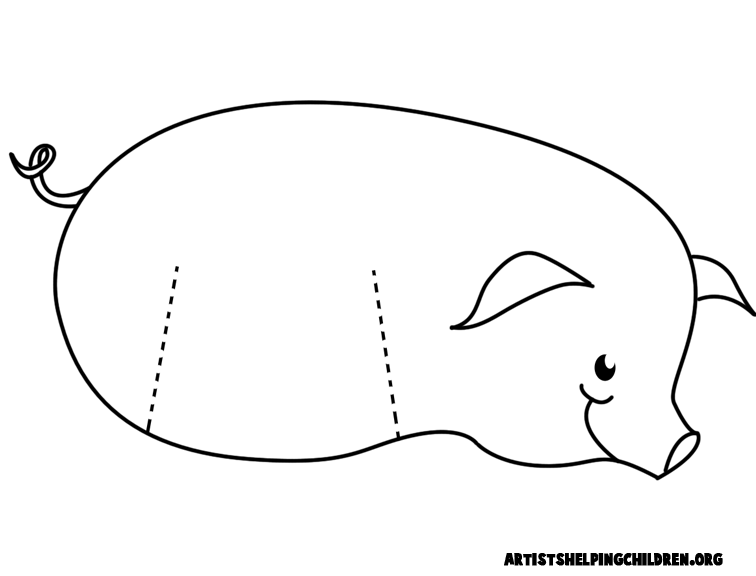 Make a Balloon Piglet Arts and Crafts Activity - Kids can make a pig from a balloon, matchsticks, sticky tape, felt, black markers and a plastic lid. Make a Luxury Pig Sty Arts and Crafts Activity for Children - Find out how to make a luxury pig sty from a cardboard, pop sticks and pvc glue. Make a Piggy Bank Craft Activity for Children - Follow these instructions to create a homemade paper mache piggy bank. Paper Bag Pig Puppet - Find out how to make a simple pig puppet using a lunch paper bag and a few other supplies. Paper Mache Pig Mask- Make Your Own Little Piggy Mask with paper mache techniques. 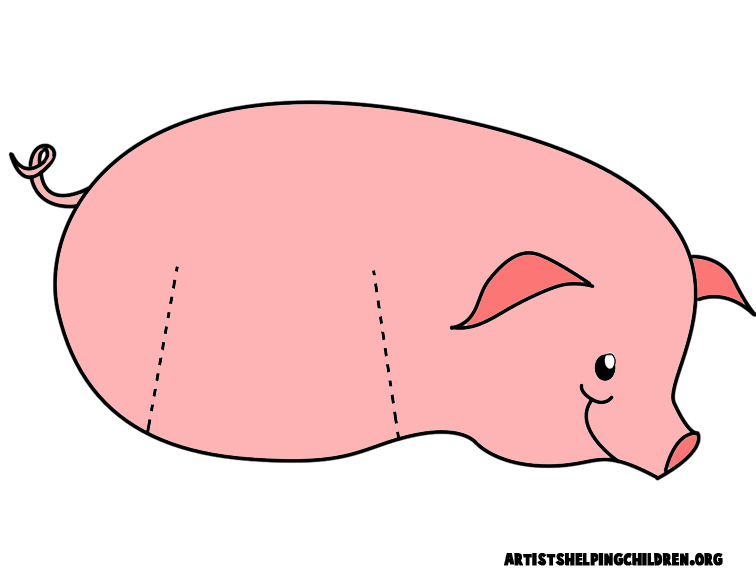 Paper Pig Model for Printing - Build a 3D model pig with our printed template. Paper Plate Pig - Make this adorable big from eight paper plates, an egg carton cup, toilet paper rolls, and other materials. Paper Plate Pig Crafts Idea for Kids - Learn how to turn a paper plate and a dessert sized paper plate into a pig. Pig Beaded Safety Pin Arts and Crafts Project - Make this cute jewelry from safety pins, seed beads and using the free pattern. Pig Crafts Pencil Holders Activities for Kids - Learn how to make a piggy bank and a pig pencil holder by following these instructions. Pig Egg Crafts Ideas - Find out how you can turn hard boiled eggs into adorable pigs. Piggy and Froggy Banks Arts and Crafts Activity for Kids - Learn how to make these adorable piggy and froggy banks. Piggy Bank Craft for Kids - Learn how to make this unusual piggy bank from a Kleenex box, pink construction paper and two toilet paper rolls. Piggy Bank Craft for Kids - Make a cute piggy bank using the papier mache method. 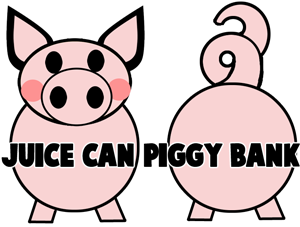 Piggy Craft - Find out how you can turn an oatmeal container into a pig in a few steps. Piggy Felt Badge Craft for Kids - This is a fun craft children will love to make over and over. Pig iPod Cozy - Help celebrate the Chinese New Year, "Year of the Pig" by making this cute pig iPod cozy from recycle felted sweaters. So cute! Piglet iPod MP3 Costume - Here's a little something different for the girls who never forget to bring along their tunes with them. 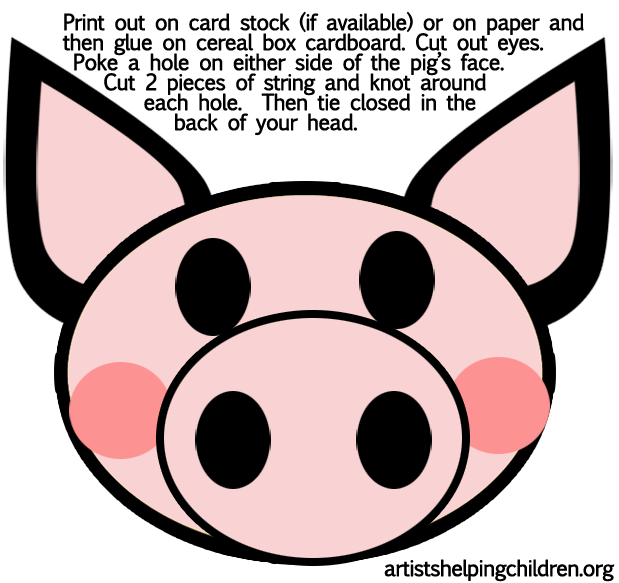 Pig Pen - Follow these instructions to create a pig topper for your pencil or pen. 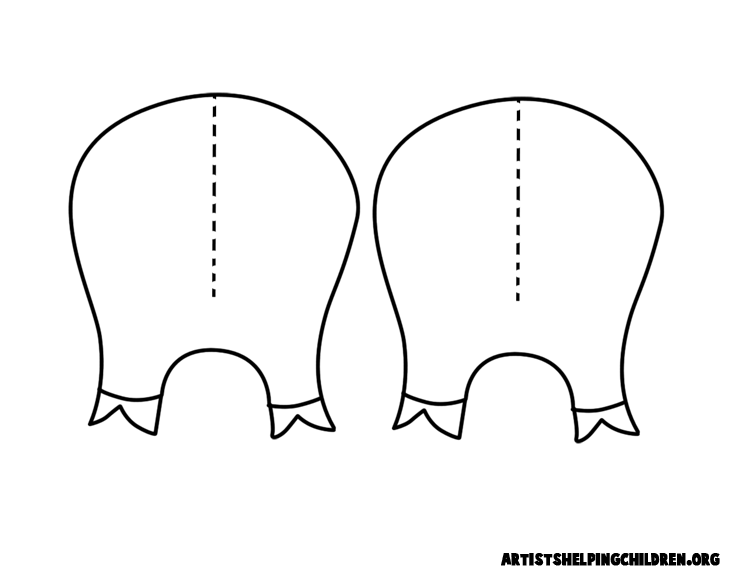 Pig Pumpkin Carving Pattern Instsructions for Halloween - Here is a free pig template you can use to carve your pumpkin. Pig Toilet Paper Roll Craft - Find out how you can turn a toilet paper roll into a 3D pig craft. Put on Pig Animals Nose Mask Craft - Make an animal nose mask from a paper bowl and Crayola products. Quack, Moo, & Oink Finger Puppets Craft - Learn how to make finger puppets of farm animals using Crayola products. Recycled Oatmeal Container Piggy Bank Craft - This is a great way for kids to learn about saving and recycling. Roly-Poly Piglet - Make this cute piglet from pink and black polymer clay and toothpicks. Smashed Soda Can Animals - Find out how to make a pig, cow and a bear from a smashed soda can. 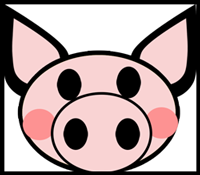 Soda Pop Can Pig - Learn how to turn an aluminum soda can into a little pig by following these instructions. Suncatcher Pig Crafts Ideas for Children - Learn how to make a simple pig suncatcher using white glue, tissue paper and a margarine container lid. This Little Piggy CD Craft - Make a little piggy from a CD or DVD, felt, pom-pom, wiggle eyes, pen, craft glue and a pair of scissors. Three Little Pigs Costumes - Learn how to make these cute 3 little pigs costumes for Halloween. Three Pigs House - Make this craft from the tops of milk cartons and other materials.